So, there’s this question a lot of us are asking ourselves: Why is Bill Foster doing this? Why are any of them doing this? What’s the endgame? I finally began to think I could see the logic, if you want to call it that, when I read something at CNN.com. 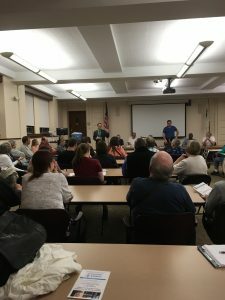 On Tuesday I attended the monthly Kane County Democrats meeting and unexpectedly encountered two candidates, Matt Brolley and Victor Swanson running for – or in Brolley’s case still considering running for – Congress in IL-14. Since I know there’s a lot of interest in who might run against Hultgren, I’d previously profiled Jim Walz, and had previously heard these two had addressed the McHenry County Dems meeting, I quickly took out my cell phone, captured video, and posted about Brolley on Wednesday and Swanson on Thursday. Almost immediately after I put up that Brolley post I received an emailed tip to the effect that Matt Brolley does not live in IL-14. He resides in IL-11, and that he pulled Republican ballots in 2010, 2014, and 2016. The tip had included some pretty strong evidence, but I wanted to investigate a bit further, at least to the extent that I gave Brolley a chance to respond. I didn’t think it ideal to send such an inquiry via Facebook message, but I did, and as it turns out it really is ideal, because Facebook messages have this handy “seen” feature. So, while I have not received a response to my detailed inquiry to either Brolley’s Village email address, or the Facebook message, I know that the Facebook message was seen on Thursday at 11:10 a.m., precisely nineteen minutes after I sent it. As it is now well more than 24 hours later I have to conclude that I can expect to receive no response. I had asked for verification of both facts – residency and the history of voting as a Republican – in both of my inquiries, as well as inviting Brolley to offer any comment he might have to make. As I have seen some pretty solid proof and he isn’t responding I have to think this information most likely is true. If so, it’s giving me pause for thought. Much pause. 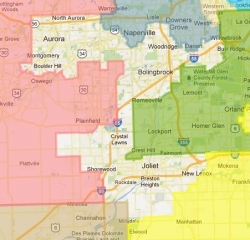 The IL-11 bit does not bother me all that much, frankly, as the last redistricting drew many, many people I knew out of IL-14, including a lot of them who worked like crazy on John Laesch’s candidacy in IL-14 in two successive elections. Hell, it drew John Laesch out of the district, Bill Foster promptly moved out of it to run in IL-11, and for all we know the next redistricting (coming right up!) is going to draw them both right back in. Considering how that line is wobbling I don’t really think being out of it this year is any more of an ethical disqualifier than it is a legal one, which is to say it is not at all. I haven’t looked at it since it was redrawn, but if my memory serves me correctly I myself could move across the street and be out of IL-14. Nothing to say someone that close can’t just move back in, which doesn’t even strike me as nearly as egregious as Foster moving from Batavia to Naperville to get into the better district that was custom drawn for him. The Republican ballots are another issue. Sure, living in this sea of red in an open primary state I know Dems who pull Republican ballots in primaries because there are no Dem candidates on the ballot, and because they think they can do more good as Dems by weighting a Republican primary one way or another. Could be the case in Montgomery most years. But 2016? Really? Anyone else remember how tight and hotly contested the Bernie/Hillary contest ended up being here? What’s that you say? All of you? Right. I know I worked my tail off for Bernie in Kane County. So, yeah, I have a hard time buying Brolley pulled a Republican primary ballot in 2016 and is nevertheless a Democrat, much less a progressive. But since Brolley isn’t responding, I guess we will all just have to draw our own conclusion. I know what mine is. I kept hearing persistent rumors to the effect that former Bill Foster staffer Sue Klinkhamer would once again be running for Mayor in St Charles, a post she held for a term before going to work for the City of Chicago, and from there to a position as Bill Foster’s IL-14 District Director. So this morning I did some digging. I couldn’t find anyone who would definitely confirm or deny the rumor that Klinkhamer is getting ready to run against current St Charles Mayor Don DeWitte – closest I got to it was an individual close to Sue who gave it as their opinion that it would be “a real step backwards” for Klinkhamer. But what I did hear – and this from no less than four individuals so close to Klinkhamer that I have trouble disbelieving any of them, much less all four of them – is that she is by far more likely to run for Kane County Board Chair. Meh. There is no reason she can’t do both – the Kane County Board Chair election is in 2012, and the next St Charles Mayoral election is in 2013. In fact Kevin Burns, current Mayor of Geneva, is hedging his bets in just this manner – running for County Board Chair in 2012, with his next Geneva mayoral election in 2013 in reserve if he loses. So it’s been a long few days. My company lost it’s biggest contract – the one I was assigned to for the balance of this year – last Wednesday. They are a governmental entity who shall remain nameless and their budget was cut by their state legislature. Bad news at casa Downtowner. Happened just as I was about to get on a plane to visit my daughter, son-in-law and 9 month old grand-daughter in Phoenix. So I went. 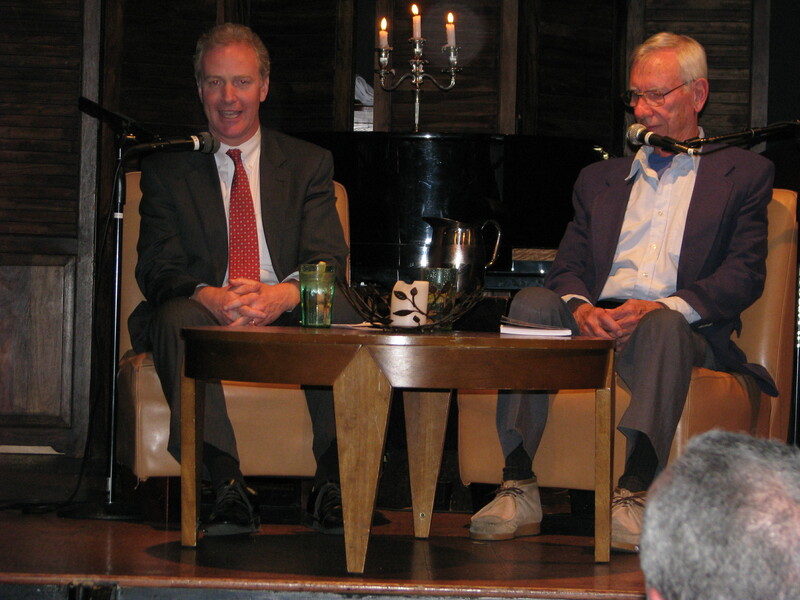 If you’ve been following the local press in IL-14, you know that Ethan Hastert is currently seeking the Repub nomination to fill his Daddy Denny’s former seat, currently held by Bill Foster, and you’d also be aware that this seat is high on the Repubs wish list for recapture in 2010. If you’ve been following the local press for the last week, you’d be able to discern that, what with their “name” candidate, and their itch to take revenge for the lost of such a high profile seat, this area has become somewhat of a priority for targeting by the opponents of meaningful healthcare reform as well. 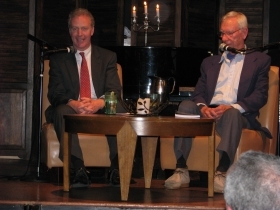 In a move that surprised me (because I’ve been having an ongoing conversation with his spokesperson Shannon O’Brien and have been unable to get a definitive answer) Bill Foster signalled his support for a strong public option, without triggers, when he signed a letter from 22 members of the New Democrat and Blue Dog coalitions to Nancy Pelosi last Wednesday. A copy of the letter is posted here on Firedoglake.